This webinar comprises 3 one-hour sessions covering each of the compulsory CPD subjects for commercial lawyers for the CPD year ending 31 March 2019. David has practised at the bar for over 16 years, previously practising as a solicitor. For over 25 years he practised banking law acting for 2 of Australia’s major banks as head of the banking department of his firm. He now handles banking disputes as well as a broad range of commercial and international matters. He appeared in a major cross border commercial arbitration involving an appeal to the Full Federal Court of Australia and a constitutional challenge in the High Court. He appears in all courts in the Victorian hierarchy and the Federal Court. 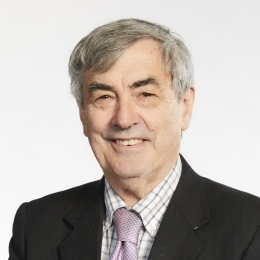 David is currently the senior author of Civil Procedure Victoria, author of Discovery and Interrogatories, Australia and a co editor of Court Forms Precedents and Pleadings - Victoria. Eleanor signed the bar roll in October 2012, reading with Stephen Russell. Prior to coming to the bar Eleanor served her articles under Tony Hargreaves at Kenna Croxford & Co in 1999. 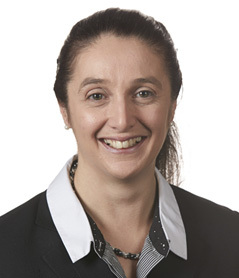 She remained at the firm, which became Kenna Teasdale Lawyers in 2004, for 13 years with a broad practice heading up the Wills and Probate department whilst maintaining her practice in Criminal Law. Eleanor has vast experience in Testator’s Family Maintenance claims together with broader Probate cases including proof of informal Wills and other such complex Probate applications. Eleanor regularly undertakes the role of mediator, having completed her accreditation as a Mediator in December 2010, becoming nationally accredited in 2011. She was described by the assessors as “a natural mediator”. Mark Howard is the National Practice Group Leader in the Workplace Relations and Safety Group. 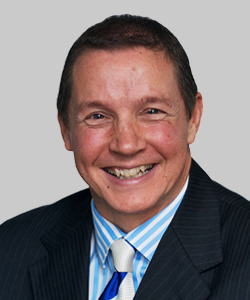 Mark has more than 25 years experience in industrial relations and employment law. He specialises in providing advice to large corporate clients and statutory authorities and has a range and depth of experience across a broad range of industries, including government, building and construction, retail, manufacturing, financial services, insurance, technology and energy and resources. Mark's practice focuses on enterprise bargaining and workplace agreements, dispute resolution, business restructures, board and executive solutions and compliance and risk management. He also has experience in designing and delivering training programs for use by employers and regularly presents at seminars and conferences. This webinar is suitable for lawyers - Australia wide and it has been designed to deliver the 3 compulsory subject CPD units for the CPD year ending 31st March 2019.